Yesterday was perhaps the last warm Saturday until spring. We will probably have more warm days, and I’m pretty sure we’ll have Saturdays, but to have both at the same time is becoming less likely. It was in the sixties during the day yesterday, but by nighttime it was in the thirties. The forecast for the foreseeable future is cold. 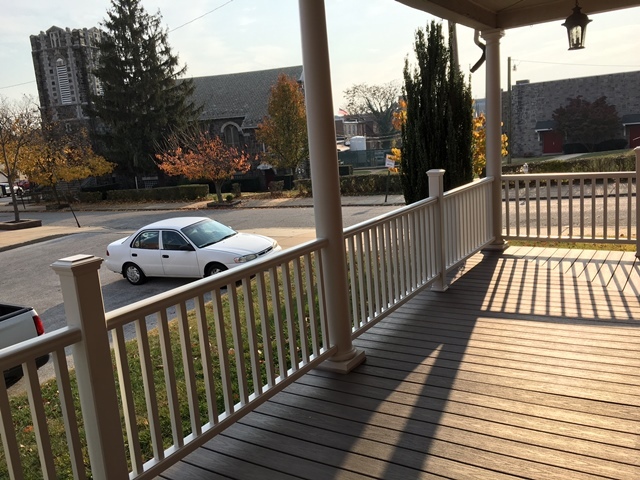 Since it was warm, I worked on the porch railings… and finished! Woo hoo! Denis was a huge help. We put in four sections of railing, and by the end, we were a well-oiled machine. 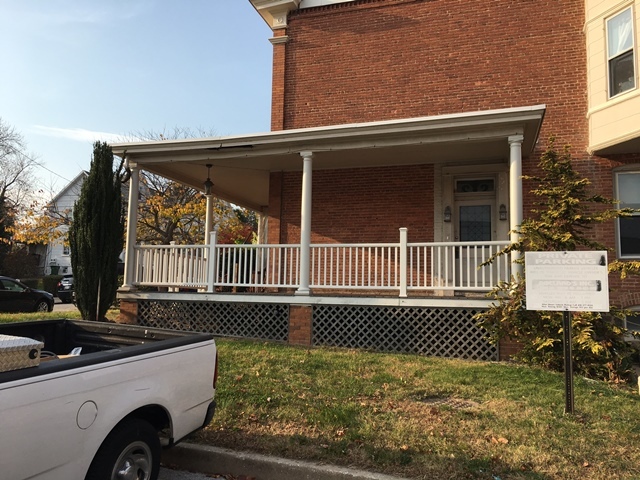 This isn’t the big AFTER picture for the porch, because there are many smaller things to do yet. Didn’t someone already suggest just putting those planters that go on deck railing beside those posts? Then you’d never have to cut them. Just looking for the easy way out, here. Much admiration over here on your porch project!!!! It looks great and inviting!! They sell rocking chairs at Cracker Barrel. Just sayin.